I read this article and wanted to share it with you: New Rate and Review https://blog.sonlight.com/new-rate-and-review.html. You're researching a product online. If you're anything like me, one of the first things you look for is customer ratings and reviews. There's always someone who marked it one star for a reason completely unrelated to the product itself. There's also often a review that, strangely enough, raves about the product just a little too well... almost as if the marketing team from the company wrote it. But you and I are pretty good at filtering these kinds of things out and getting to the meat of customer experience. You know what's difficult? Deciding when no one has rating something! I get this lost feeling in the pit of my stomach when the latest video camera or hard drive or Netflix flick hasn't been rated by anyone. "Seriously? No one has used this product yet? Better not risk it..." And so, sometimes, I miss out on something awesome because no one left a review or rating. Of course, who am I to complain? I don't rate things very often myself. It feels so final, so permanent. I didn't want you to feel that on Sonlight's website. So our latest update makes it easy and painless for you to rate things. You do have to be logged in, but once you are, it's cake. You can quickly rate a product by clicking on the stars under the image. You can also rate and review the product on the Reviews tab. In either place, you can instantly update your star rating by clicking on the stars. Updating your review is as easy as changing your text and pressing the update button. And if you're dissatisfied with your review, simply press the delete button. 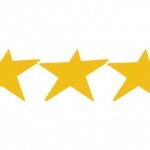 Please take a few seconds to rate (and even review!) products you've used. And let me know what you think of the new rating system. This is the first one I've designed, so I'm interested in how it works for you.